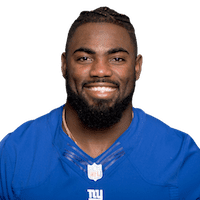 New York Giants safety Landon Collins will be hosting the second annual Landon Collins Celebrity Softball Game at Palisades Credit Union Park in Pomona this Saturday, June 9. The softball game, which will donate a portion of proceeds to the Tom Coughlin Jay Fund Foundation, will pit current and former New York Giants against one another as they test out their competitive skills on the baseball diamond. Collins will captain a team of players currently on the Giants’ roster while former Giants running back, Brandon Jacobs, will be captain of the veteran team that will be comprised of greats from Super Bowl XLII and XLVI champion teams. Last year’s event ended in a tie – this year both teams are back for revenge. Players from both iconic teams are scheduled to participate and a portion of proceeds will benefit the Tom Coughlin Jay Fund Foundation, founded by former NY Giants Head Coach, Tom Coughlin. New York Giants fan favorite, Joe Ruback, aka License Plate Guy, came up with the idea for the event, and after approaching Collins about it at the ProBowl in January, got the green light to proceed. Now it has become an annual event. “We are so excited to bring together a group of incredible athletes for a fun-filled day again – all to support a great cause,” said Ruback. Evening activities will include a dodgeball game, a homerun derby and then the celebrity softball game where the NFL pros will take their shots at swinging for the fences. The parking lot will open at 1 pm. Gates open at 3 p.m. The dodgeball game is at 5 p.m., home run derby at 6 p.m. and the softball game at 7 p.m. Stadium tickets are $25 and there are VIP seats being offer in one section only – 107 for $100-$250. All tickets are available at www.landoncollinsgame.com.